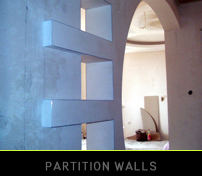 Using the drywall system you can achieve fast and affordable separation of rooms. 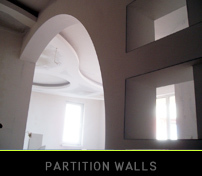 A partition wall is often useful for separating a large bedroom into a smaller bedroom and a bathroom or an en-suite bathroom/ or office space by your desire. 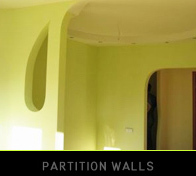 The drywall partition system give the opportunity to build in electric system and pipe work, it also provides sound and thermal insulation. It is quick process with small amount of waste and no damages to the rest of the interior. Meto Interiors Ltd is happy to provide free quotation suiting any budget with no obligations.